Credit Cards or Debit Cards: Which One Is Better? Debit cards and credit cards may look the same in your wallet, but they operate very differently. Debit cards pull from your bank account funds, while credit cards draw on a line of credit. There are distinct benefits and drawbacks to using both debit cards and credit cards. Which is better for you depends on your financial goals and how comfortable you are with managing your money. 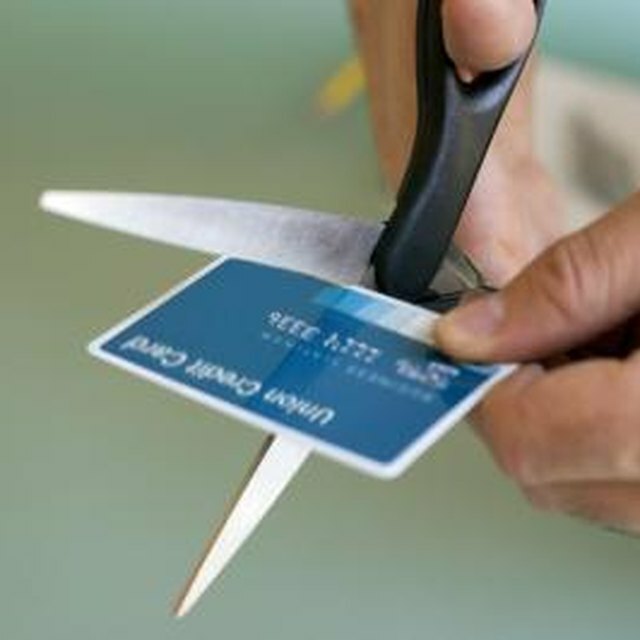 Debit cards are a great option if you don't want the temptation of a line of credit. Debit cards are issued by your bank and linked to your checking account, so you can never spend more than you have in your account. Unless you opt-in to an overdraft program with your bank, your debit card will automatically decline if your account has insufficient funds. They're a good tool for college students and young adults who are still learning how to manage their funds, because they don't' come with the hassle of a monthly bill. Debit cards aren't a great option for emergency funds. You can choose to sign up for overdraft protection programs through your bank that will let you continue to purchase once you're out of funds -- but fees for this service can be up to $35 for each overdrawn transaction. Debit cards if aren't ideal for young adults looking to build your credit. Debit cards aren't considered a line of credit, so using one responsibility won't increase your credit score. One of the best benefits of credit cards is that they'll help you build your credit. Paying off your balance every month and in full will steadily increase your credit score, which means lower interest rates and better terms when you look for auto or home loans. Credit cards usually have more lucrative incentives compared to their debit card counterparts. Many credit cards offer a cash bonus or airline rewards for signing up and continuing points for every dollar you spend after that. If you're going to have to spend money, it's nice to get rewarded for it. Many individuals simply can't deal with the temptations that come with a credit card. Many credit users aren't good at keeping track of their expenses throughout the month and face an unexpected surprise when their bill comes due. Credit card companies won't make you pay down your full balance each month, but they'll charge interest on any revolving balance. With some interest rates as high as 20 or 30 percent, credit card users can soon face a dangerous amount of debt if they're not diligent. Bank of America: Pay With Cash, Debit or Credit?